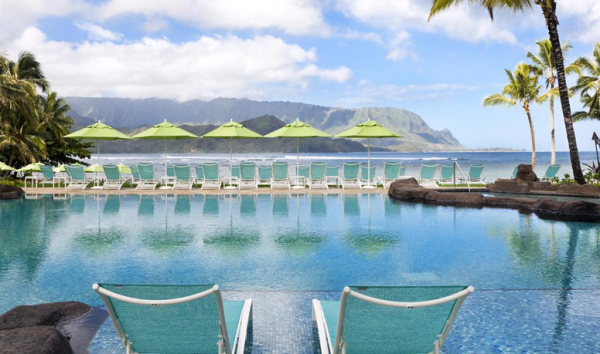 Since our Four Seasons-focused Hawaii week was such a success, I’m continuing this week with a few of the other islands and properties that I highly recommend. 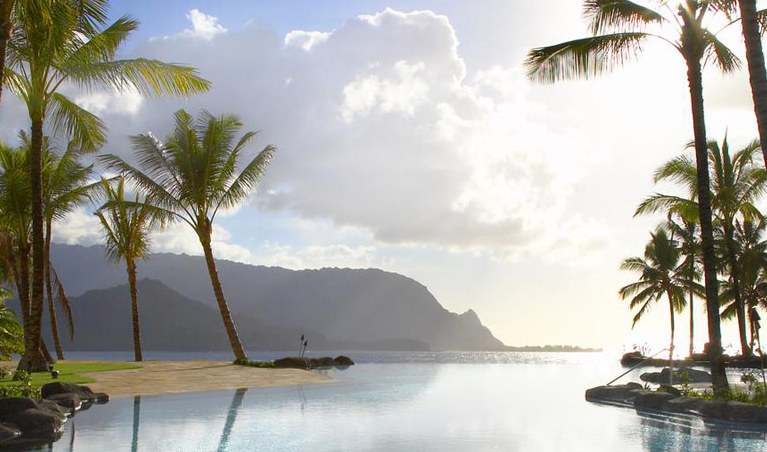 First on my list is the little island of Kauai, which is a personal favorite of mine. With its rugged terrain and overgrown foliage, Kauai captures the look and feel of what I’d always imagined Hawaii to be. It’s lush and feels almost undiscovered – it’s where Jurassic Park was filmed, if that gives a better idea of the landscape. One of my all-time favorite tours of any place I’ve visited in the world was a helicopter tour of this beautiful island: seeing the giant waves crash into the drastically deep cliffs from the sky is out of this world. While there are a couple of excellent choices to stay on the island, I tend to work with couples who are looking for a more relaxing and quiet getaway, which makes the St. Regis Princeville the perfect choice. It’s also ideal for destination weddings, which is one of the resort’s specialties (also one of my specialties – get in touch if you are interested in planning a destination wedding!). 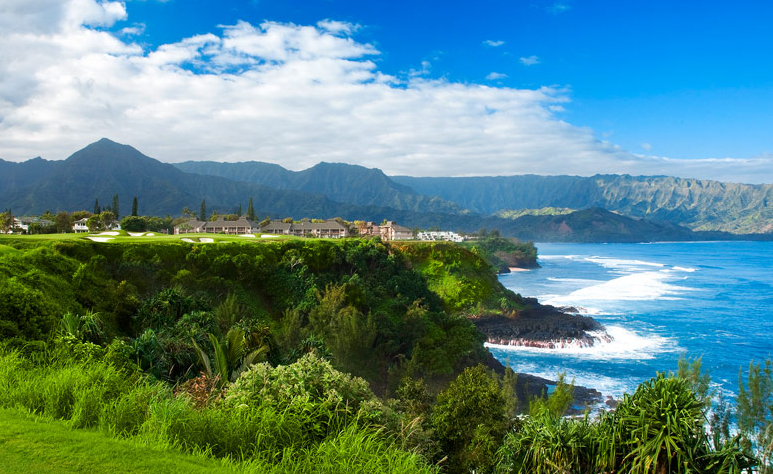 The property is very secluded, so I highly recommend renting a car to get around (I recommend this regardless when in Kauai, especially a Jeep, which is a great vehicle for the island). Driving around the gorgeous island is half the fun – get lost on its winding roads alongside the sea, search for secluded beaches, and make your way back home to the Princeville for the Mailani Dinner Show, which combines hula dancing, chanting, and storytelling. The property has everything that one looks for in a luxury getaway – golf, spa, and the famous bespoke service of the St. Regis brand (including butler service in the suites!). Not only that, but book it through me and receive complimentary daily breakfast, $100 resort credit, early checkin & late check out if available (great for Kauai since most flights depart at night! ), and an upgrade if available. Read about a past client’s experience here! 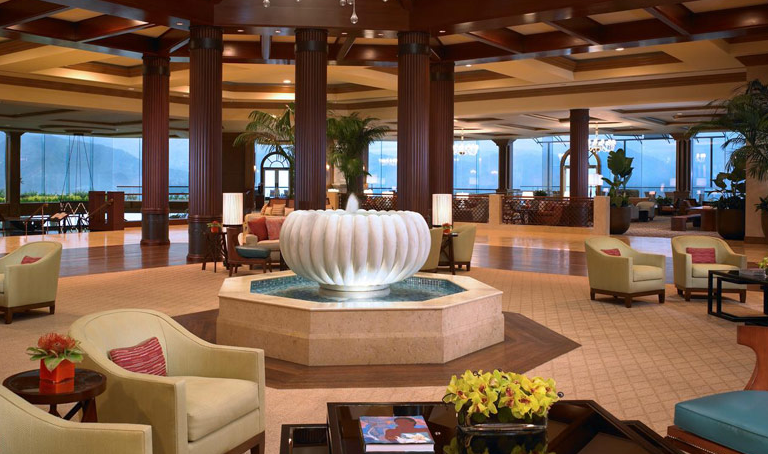 Don’t forget about the unforgettable views from the pool!